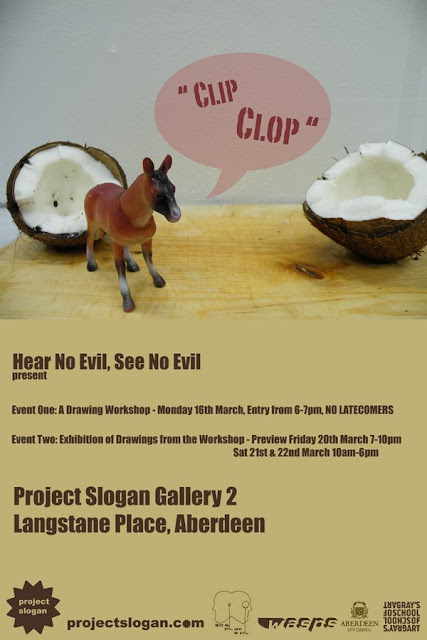 Local lassies Hear No Evil & See No Evil are running a drawing event at Project Slogan 2 on Monday 16th March. Kick off is 6pm so be there on time if you want to take part. They will be having an opening for all the drawings produced from the session on Friday 20th from 7 - 10pm and also on Saturday & Sunday. Pop along and have a shot and get your work up there, its what its all about folks.